An example of just how well the planning and public health professions have come together to forge alliances for community health happened in August 2017 when the "Planning for Health Convening for Southern California" was held in Riverside, California. The convening was co-organized by the California Conference of Local Health Officials–California Chronic Disease Prevention Leadership Project and the APA California Planners4Health Initiative. Planning for the event began in February 2017 when a conference call brought together over 20 leaders in public health and planning. They discussed the formation of a Southern California gathering of the two fields that have long been separated but have emerged together with more strength to address the health inequities of today. After that initial meeting, the committee was hard at work to bring together a dynamic, interactive, informative, and meaningful event. The convening kicked off in August 2017 with an opening ceremony presented by the Cahuilla Bird Singers. The juxtaposition of the performance of Native Americans in the setting of the Mission in Riverside — signifying the taking of their land and an attempt to erase the rooted culture — allowed for participants to ponder the connections to the health inequities that challenge native communities across California. The performance was followed by a deep dive discussion of health inequities, and how they are experienced and addressed in the different aspects of planning such as transportation, housing, and the environment. Pastor’s messages echoed throughout each panel discussion that followed. Four panel discussions covered each of the four main themes listed above, with local and regional leaders pushing the envelope when it comes to addressing public health in the built environment. The event also provided prime networking opportunities for planners to continue to connect with public health professionals and to trigger more collaborative endeavors related to programs, policies, and approaches to improve community health at the local level. Planners4Health roundtable in California. Photo courtesy Planners4Health California. “The lessons, tools, and contacts I discovered at the event have broadened my understanding and appreciation of the numerous allies that we planners have with this work," said Richard Rojas, AICP. Visit http://cclho-cheacchronicdiseaseleadershipproject.com/ for a link to download all the convening materials. 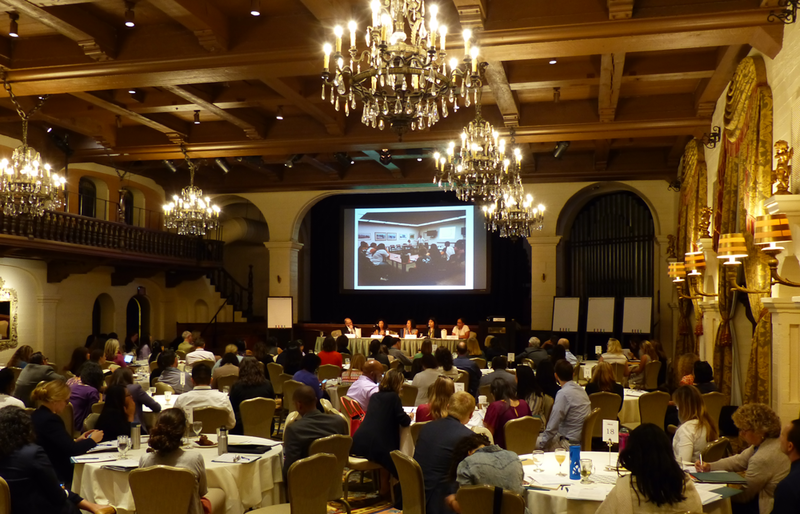 Top image: Panel discussion during Planners4Health convening in California. Photo courtesy Planners4Health California. Linda Khamoushian is a planner who managed the Planners4Health California project.